#1 NEW YORK TIMES BESTSELLER—Featuring a conversation with the authors! In this spectacular father/son collaboration, Stephen King and Owen King tell the highest of high-stakes stories: what might happen if women disappeared from the world of men? In a future so real and near it might be now, something happens when women go to sleep; they become shrouded in a cocoon-like gauze. If they are awakened, if the gauze wrapping their bodies is disturbed or violated, the women become feral and spectacularly violent; and while they sleep they go to another place... The men of our world are abandoned, left to their increasingly primal devices. One woman, however, the mysterious Evie, is immune to the blessing or curse of the sleeping disease. Is Evie a medical anomaly to be studied? Or is she a demon who must be slain? 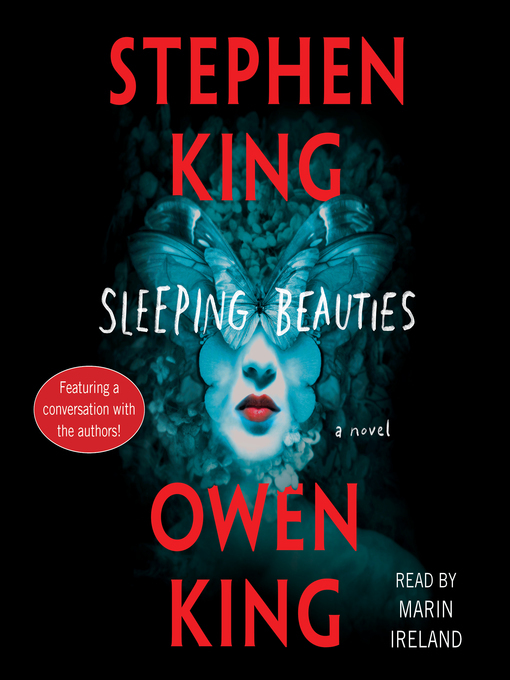 Set in a small Appalachian town whose primary employer is a women's prison, Sleeping Beauties is a wildly provocative, gloriously absorbing father/son collaboration between Stephen King and Owen King. This delicious first collaboration between Stephen King (Doctor Sleep) and his son Owen (Intro to Alien Invasion) is a horror-tinged realistic fantasy that imagines what could happen if most of the women of the world fall asleep, leaving men on their own. No one in Dooling County figures the sickness will affect their rural Appalachian life, but TV images of women asleep and unable to be woken, with white membranous stuff wrapped around their heads, makes residents undeniably distraught. Dr. Clinton Norcross of the Dooling Women’s Correctional Facility finds himself unexpectedly in charge of 114 female prisoners when an unhappy guard slips a bunch of Xanax into the coffee of warden Janice Coates, causing her to fall asleep and succumb to the sickness. Clinton’s wife, county sheriff Lila Norcross, is called to the scene of a double murder and explosion; en route, she nearly runs down a half-naked woman standing in the middle of the highway. That woman, Evie, seems to have some connection to the peculiar goings-on, though no one knows what it might be. The authors’ writing is seamless and naturally flowing. The book gets off to a slow start because of the amount of setup needed, but once the action begins, it barrels along like a freight train. Agent: Chuck Verrill, Darhansoff & Verrill Literary; Amy Williams, Williams Company. You have reached the maximum number of titles you are allowed to recommend at this time. You can recommend up to 3 titles every 1 days. Brought to you by Cedarburg School District, and built with 💕 by OverDrive.